Thanks for the deleted scene! I haven't read the books yet but they sound amazing. Lovely! It makes me want to re-read Mistwood. What a great book. As is Nightspell. The excerpt does a good job of setting and highlighting the Shifter/Isabel's character. Thanks for the deleted scene! 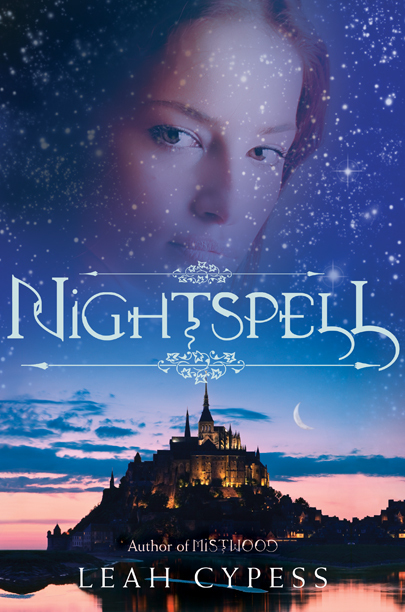 I'm really wanting to read Nightspell. Thank you so much for sharing I would love to read this book sounds so good! I haven't read the book but after reading the deleted scenes now I must have this book. Had my eye on this book! Thanks for the chance. I love the fact that Isabel and so many of Leah's characters are strong young women! They are adventurous and brave. Thanks so much for the deleted scene! It's definitely a great scene and really shows how the Shifter WAS vs. how she IS...now. I can see why it was removed, but am so glad you're sharing it with us now!